(TNS)—Airlines are making it easier for frequent flyers to redeem their travel rewards, as major carriers work harder to keep their most loyal customers happy, according to a seat availability survey released recently. American Airlines showed the biggest improvement, rising from the bottom of the pack to ninth in the annual survey, with members of its AAdvantage program able to book reward seats on more than 82 percent of flights, up nearly 28 percentage points from last year. Overall reward availability for the 25 airlines surveyed increased to 73.6 percent, up 1.2 percentage points from last year. “There is a recognition among the big airlines in the U.S. that there’s got to be a minimum amount of reward seats available, and you’re seeing them all kind of drift towards a band close to each other in the charts,” said Jay Sorensen, president of IdeaWorks, an airline consulting firm near Milwaukee, which conducts the annual survey. Southwest Airlines repeated as frequent flyer champion, with 100 percent of seats available for booking through its Rapid Rewards program. The MileagePlus loyalty program at United Airlines ranked 12th at nearly 76 percent, up about 11 percentage points from last year. 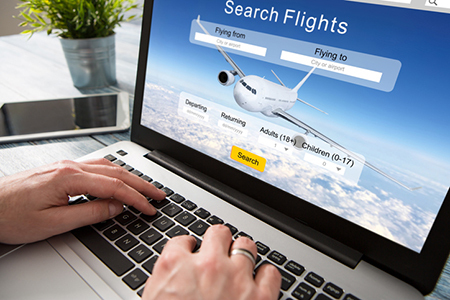 The survey, sponsored by travel technology firm CarTrawler, was conducted in March and used 7,420 booking inquiries to assess reward availability for two passengers traveling from June through October. The maximum price for domestic travel was capped at 25,000 points or miles, depending on the loyalty program. Frequent flyer programs have been around for decades, but the advent of credit card miles has increased traveler participation and competition among airlines in recent years. Sorensen said airline-associated credit cards account for more than 60 percent of reward miles accrued and represent an increasingly important revenue source for the airlines. Discount carriers such as Southwest and JetBlue, whose TrueBlue program ranked fourth at 94.3 percent, tend to make more seats available to frequent flyers than traditional carriers, the survey showed. But the huge gains by American represent the growing importance all airlines are placing on making loyalty rewards easier to access. Josh Freed, a spokesman for American, said the carrier’s gains were part of a “long-running effort” to improve availability and catch up with its peers at United and Delta Air Lines, whose SkyMiles loyalty program ranked 13th in the latest survey with 72 percent reward seat availability. “Our long-term goal is to be roughly comparable to the other big network airlines in terms of availability, and this is evidence that we’re making progress” Freed said. A key change in the AAdvantage rewards program was opening up connecting flight availability, Freed said. “That enabled people that don’t live in a hub city to have a better chance of getting the reward ticket that they are seeking,” he said.